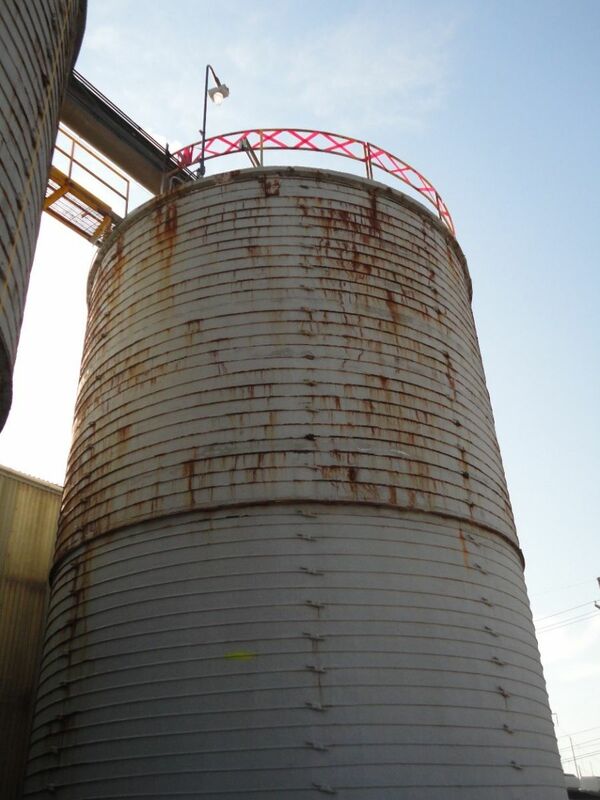 A concrete stave silo that uses galvanized steel hoops around the silo for structural support. Pictured above is a concrete stave silo that uses galvanized steel hoops around the silo for structural support from the materials pushing out on the walls. As pictured, the hoops were not in good condition and the corroded hoops were replaced. 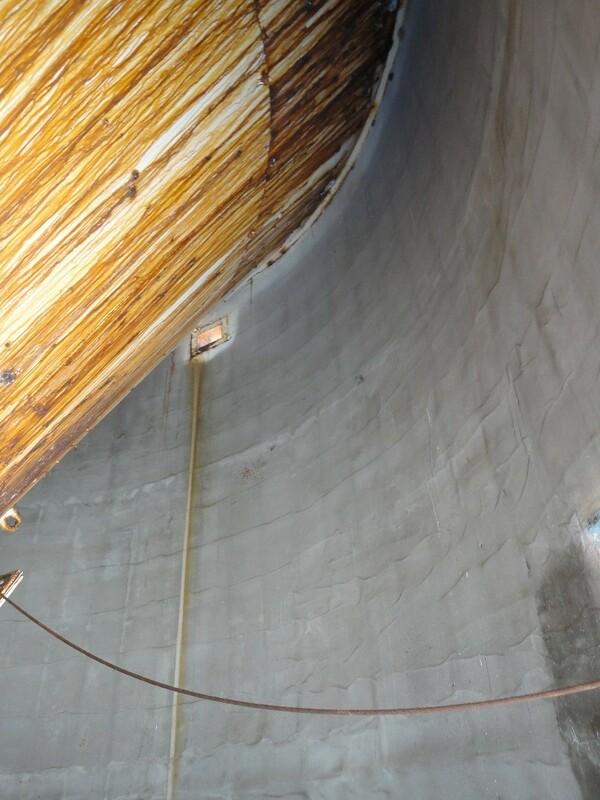 This silo is constructed with a suspended cone that is welded to a steel ring girder that protrudes through the wall. Below is a closer look at the inside of the suspended cone which shows rusting of it and the steel ring girder due to water leakage. Anchoring cones into silos this way is not an accepted method; new silos are now constructed with vertically supported cones instead of horizontally suspended cones which are known to have a high rate of failure. It is imperative to have silos inspected regularly. This silo cone could have been repaired by pouring pilasters from the foundation up to the cone and attaching it, creating a suspended cone. However, the customer deemed it non-economical and took this silo out of service.